SILVER SPRING, Md., November 20, 2018 /3BL Media/ –The United States Drug Enforcement Administration (DEA), the DEA Educational Foundation, and Discovery Education, the leading provider of digital content and professional development for K-12 classrooms, announced today the launch of the third annual Operation Prevention Video Challenge – a peer-to-peer platform for communicating messages about the dangers of opioid misuse. 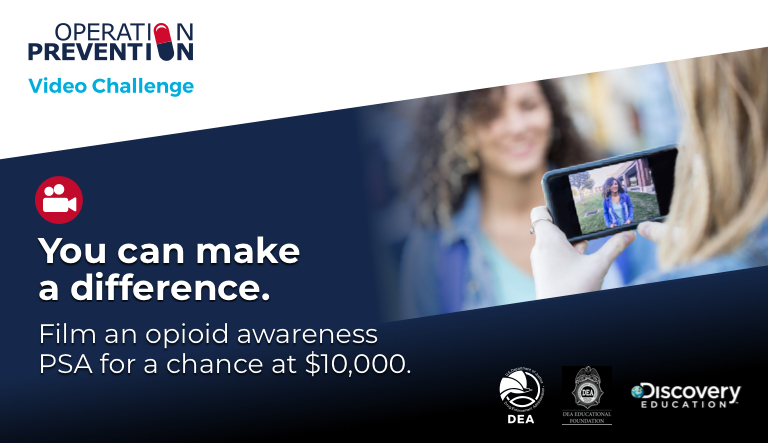 An extension of Discovery Education and the DEA’s Operation Prevention program, the video challenge encourages teens to create a 30-60 second original public service announcement that alerts other students about the dangers of prescription opioid misuse and heroin use. Overall, the challenge aims to inspire teens to research the opioid epidemic, identify its widespread impact on the country and the substances’ harmful effects on the body, and start a social movement that encourages authentic dialogue about this critical issue. 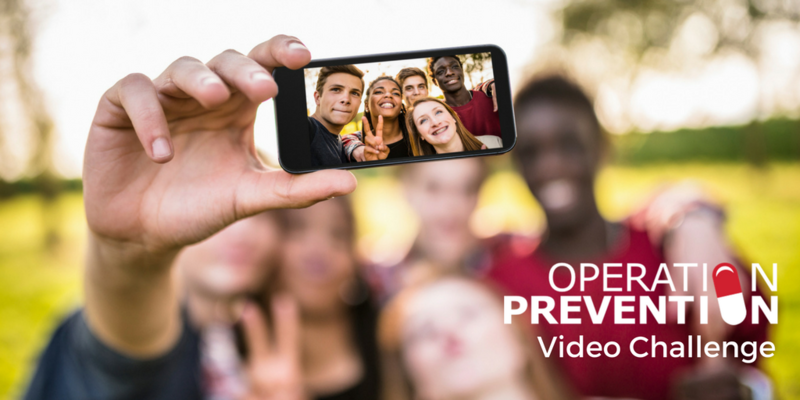 The top 10 finalist videos will be uploaded to operationprevention.com for a public vote to determine the People’s Choice winner. Winning PSAs will be featured on-air, across Discovery Education and DEA digital platforms, and on other social media platforms. People’s Choice: A VIP trip to Quantico, Virginia, for a tour of DEA training. Last year’s winning PSA, titled Waiting to Die by Porter Christensen of Saint George, UT, was one of the hundreds of original submissions the challenge received. To view entries from finalists and winners of the previous Operation Prevention Video Challenges, visit: operationprevention.com/competition/video/archives/2018. According to National Institute on Drug Abuse (NIDA), more than 115 people in the United States die from opioid misuse every day. The Operation Prevention Video Challenge is launched at a time when prescription opioid misuse and heroin use have reached epidemic levels in the United States. Operation Prevention is a nationwide program that educates students about the science behind addiction, and its effects on the brain and body. Standards-aligned Operation Prevention interactive resources, available at no-cost, help promote lifesaving discussions in the home and classroom. The Operation Prevention Video Challenge opens today and will close on March 6, 2019. Public voting for the People’s Choice winner will take place April 11-25, 2019. United States high school students, ages 13 and older, can register and find more information about the challenge here. Operation Prevention resources are free and accessible, and are available at operationprevention.com. Operation Prevention resources are also available through Discovery Education Streaming. For more information about Discovery Education’s digital content and professional development services, visit discoveryeducation.com. Stay connected with Discovery Education through social media on Facebook, Twitter, Instagram and Pinterest @DiscoveryEd. The mission of the Drug Enforcement Administration is to enforce the controlled substances laws and regulations of the United States and bring to the criminal and civil justice system of the United States, or any other competent jurisdiction, those organizations and principal members of organizations, involved in the growing, manufacture, or distribution of controlled substances appearing in or destined for illicit traffic in the United States; and to recommend and support non-enforcement programs aimed at reducing the availability of illicit controlled substances on the domestic and international markets. The DEA encourages parents, along with their children, to educate themselves about the dangers of legal and illegal drugs by visiting DEA’s interactive websites at www.justthinktwice.gov, www.getsmartaboutdrugs.gov and www.dea.gov. Established in 2001, the DEA Educational Foundation is a 501(c)3 non-profit organization dedicated to preventing drug abuse. The foundation supports the DEA through advocacy, outreach, and educational programs. Learn more at www.deaeducationalfoundation.org. As the global leader in standards-based digital content for K-12 classrooms worldwide, Discovery Education is transforming teaching and learning with award-winning digital textbooks, multimedia content, professional learning, and the largest professional learning community of its kind. Serving 4.5 million educators and over 50 million students, Discovery Education’s services are available in approximately half of U.S. classrooms, 50 percent of all primary schools in the UK, and more than 50 countries around the globe. Inspired by the global media company Discovery, Inc., Discovery Education partners with districts, states, and like-minded organizations to captivate students, empower teachers, and transform classrooms with customized solutions that increase academic achievement. Explore the future of education at DiscoveryEducation.com.